The Independent Police Complaints Board was looking into claims that the police used excessive force when dealing with protesters outside a Planning Authority board meeting. Responding to a parliamentary question by MP Karol Aquilina, Interior Minister Michael Farrugia said that any decisions on disciplinary action would need to wait until the board had reached its conclusions. 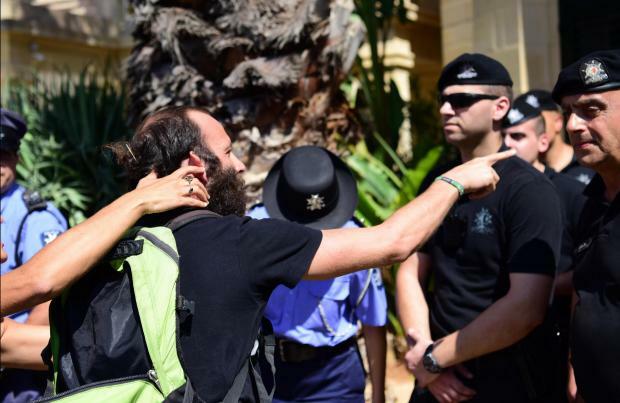 Members of Moviment Graffitti and Kamp Emerġenza Ambjent were hurt during the scuffle on September 13, with even the Prime Minister describing the police reaction as 'heavy handed'. Dr Aquilina also asked who had ordered the police to react, but Dr Farrugia did not reply, saying this would emerge from the board's investigations. The protestors were attending a board meeting in protest over controversial plans for another new fuel station outside development zone.